It seems “ultra” races like marathons and Ironman are all you read about in training blogs, articles and magazines these days. But according to Running USA’s 2013 State of the Sport analysis, 5K’s ranked #1 among race distances with the most finishers at a whopping 6.2 million- a new record. Don’t get me wrong, there is something special about accomplishing the feat of a race that tests the limit of your personal endurance. However, 5K’s and 10K’s are a great place to start your running journey and for veteran runners shorter races are one of the best ways you can improve your fitness and success at longer races. In addition, you can race short events more often and not suffer the same post-race trauma often seen in marathons and longer events. Here are three specific workouts I aim to incorporate regularly into short distance training that can improve your 5 and 10K time whether you are just starting out with running or you have been at it for years. As a bonus, these workouts will improve your running at the longer distances too. The value in short hill repeats goes beyond just speed. You build muscular endurance, kinetic chain stability (a fancy way of saying the body is working efficiently from top to bottom which in turn leads to injury prevention) and stride efficiency. Beginner runners should start cautiously. While short, these repetitions are demanding. Find a hill that is at least 100 meters in length and relatively steep (approximately 6% grade). Run at a solid sprint, but not all out, up the hill for approximately 50-60 meters. Walk/light jog back to your starting point and repeat. Note how long it takes you to complete the 50-60 meters. You want to be sure you are fully recovered after each repeat such that your times for each repeat are consistent. If they are not, take more recovery time. I like to insert these repeats into the middle of an aerobic run day. For example, 20 minutes aerobic followed by hill repeats and finishing with 20 more minutes aerobic. Insert these repeats once every week to every other week as your training allows building up to a max of 10-12 total repetitions. Start with 2-4 reps if you are a beginner. For added strength, aim to also find hills that are steeper (I would not go steeper than 10% grade). Progression runs certainly have tremendous physiological value but I also believe they are one of the best workouts for learning how to pace. If I had to pick one thing that is consistent across the board at races I attend it is the tendency for people to mismanage their pacing. Learning how to manage your pace will make you more aware of effort in short distance racing in addition to producing that attractive finishing time. Head to the track for this controlled run. Warm up well for 10-15 minutes followed by light stretching. Then run 2 laps where you stride out the straights and coast the curves. Run 16 laps, 12 for beginners, in lane 8 on the track where you run EASY from the start line to the number 8 and at “pace” from the number 8 back to the start line. Yes, you are getting a tiny jog recovery each lap. “Pace” is as follows – 4 laps at 10K pace/effort, 4 laps just a little faster (approx. 5 sec/mi), 4 laps a little faster yet (approx. 5 more sec/mi), 4 laps making each lap a little faster than the last. Cool down well when done, 10-15 minutes. This workout forces you to start moderate and build your pace. You spend a decent amount of time at each pace, giving you the opportunity to recognize what different efforts feel like. I love strides. Strides in every form do something good for your running- they require you to go fast! At the end of the day, if you have not asked your body to run paces/efforts faster than you have in the past you cannot expect your results to change. With strides you are able to create proprioceptive awareness to switch gears and tolerance to uncomfortable efforts in a manageable way. A pyramid stride is exactly as it implies, an effort where you build your pace and then ease off and can be easily inserted within or after a run. They are a great way to effectively generate speed in a safe way. Start with pyramid strides lasting 90 seconds. The first 30 seconds you build to good speed/turnover thinking about light and quick feet. The second 30 seconds you hold this effort aiming to maintain good form. For the final 30 seconds gradually ease off from the stride effort, allowing your body to decrease speed gently. Rest is as needed. Start with 4-6 strides after an easy run and build up to 8-10. Insert in the middle of a run to break up a pace rut. As you get more comfortable with the strides try changing up the duration to either 1 minute or 2 minutes in length. 1 minute pyramids are hard due to the shorter time you have to build your pace. 2 minute pyramids are also challenging due to the length you have to hold your effort. For the first time runner or road warrior, short distance racing can be a fun diversion and a way to set mini-goals within training. 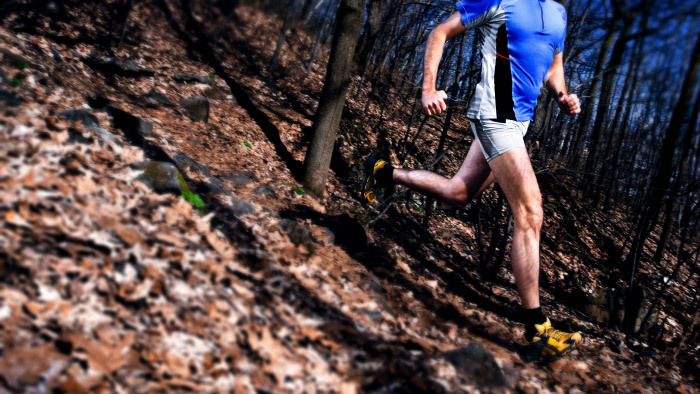 Workouts like the ones outlined above make you a better runner period, no matter the distance. That said, building muscular strength and efficiency, learning proper pacing, and challenging your functional speed all are important components to racing short distance events well. If you haven’t signed up for a local 5K for this season consider it…6.2 million people are on to something!